﻿ Kamelot are back with their latest album The Shadow Theory, an album showcasing their unique sound which blends symphonic metal, power metal, progressive and world music influences. Dystopian ideologies run through this album, they explore the state of the human mind in an oppressive society. The album revolves around three main ideas: The Shadow Empire (the global mind), The Shadow Key (the resistance) and The Shadow Wall (the veil that blinds us from the truth). The Florida-based band was founded in 1992, and a few changes in line-up and eleven studio albums later, Kamelot have grown from strength to strength, and their twelfth release is greatly anticipated. The album begins with the instrumental track The Mission. Combining a fast-paced war-like percussion sections, melodic strings, and ending on an eerie minor chord establishes the dystopian theme. The fulness of the sound is present from the beginning with each instrumentation layer enhancing the overall track. The Phantom Divine (Shadow Empire) continues the fast-paced percussion filling the track with an uplifting energy, this is suggestive of a desperation to escape. Vocalist Tommy Karevik displays his strong abilities from the start. His wide vocal range, and soft tone complements the heavy distorted guitars and aggressive undertones in the instrumentation. The atmosphere of the track is dramatic portraying the dystopian ideas of rebellion in a confining world. The track also features Lauren Hart from Once Human whose vocals add an extra edge to the track. The dark, descending notions of entrapment in a dystopian world are somewhat lifted in the bridge of the track through the piano melody and soft whispering lyrics. Amnesiac immerses the listener into heavy distorted guitars and synthesizer effects. The pre-chorus forms a short breakdown before bursting into a chorus with synth effects suggesting an influence from house music. The high energy mixture creates an enticing sound. Burns To Embrace contrasts the genre mixing of the previous track with its symphonic, folk influences creating a completely different feel. However, the sound is undoubtedly Kamelot. The heavy tone and sustained high energy cohesively link the tracks, providing a strong base that allows for experimentation in the other layers of instrumentation. The power of the lyrics and vocal line continues the dystopian theme, carrying ideas of hope, and the inclusion of a children’s choir towards the end of the track further presents these notions of hope. In Twilight Hours featuring Jennifer Haben contrasts the previous tracks on the album. The slower tempo and piano melody creates a calmer tone which forms an effective pause from the fast-paced, more involved tracks. Haben’s vocals complement Karevik’s and moves the focus away from busy instrumentation to give the vocal lines more prominence. The dark tones and atmospheric ideologies that bleed through this album create an explosive, alluring album. The depth of instrumental layers and concepts create an inspiring album that demonstrates Kamelot’s song writing abilities. Their sound is instantly recognisable despite their varying experimentation and influence of numerous genres. 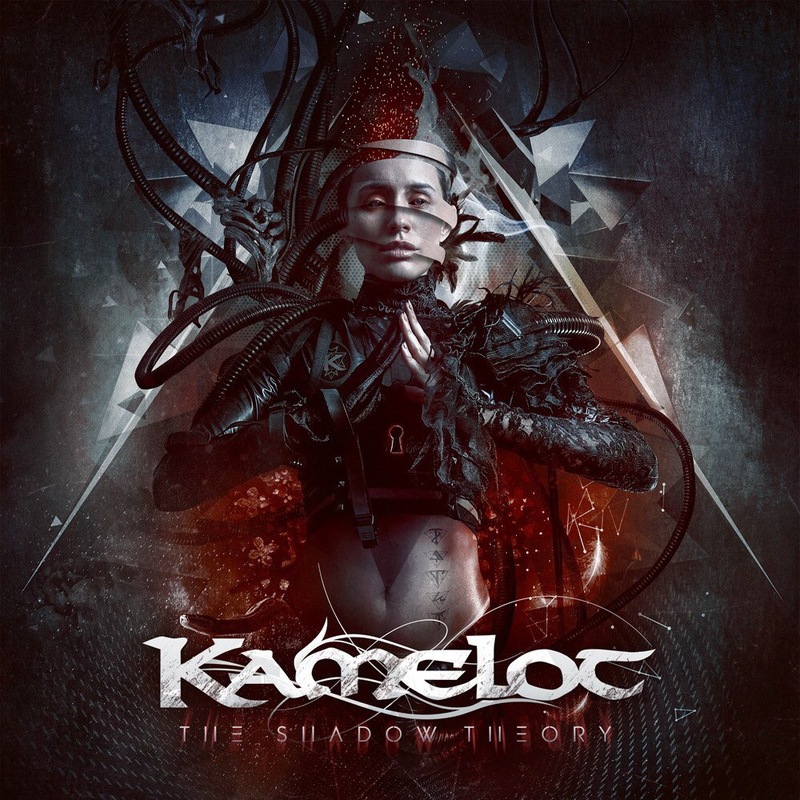 ‘The Shadow Theory’ by Kamelot is released on 6th April on Napalm Records.